A secret lounge bar is opening its doors for our April Monthly Bash! 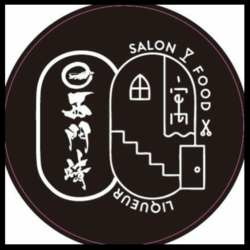 Operating as a salon by day, 寓west&西門靖 (Apartment West) transforms into a bar with VIP secret lounge access for those in the know. You'll enjoy some special house cocktails on our welcome drink menu along with the usual red and white wines. Select beers and non alcoholic drinks will be available as well. The extensive list of drinks offered by 寓west&西門靖 will bring you a new appreciation for hand crafted spirits. Feel free to bring friends and co-workers, but please invite them to register for InterNations first. Let's keep growing the InterNations community in Taipei together! Anyone who is not signed up for the event before the guest list closes will be subject to the prices listed for "Not Signed Up" - please make sure to sign up (and have proof of your Albatross Membership if applicable) in case of sign-in glitches. Please remind your friends and colleagues to sign up for the event before 25 April at 12:00, when the guest list closes. This is important for us to keep track of attendance and it saves you some money for the evening! Note on pricing: we are required to follow pricing guidelines from InterNations - you can enjoy Albatross pricing if you sign up for a membership!